Working with a range of clients over the years, Leora has experience in the areas of: commercial leasing, sales and purchases of businesses, corporate governance, property conveyancing and subdivision registration, off-the-plan property transactions, general commercial agreements, Retirement Village property documentation and legislative compliance, franchise and business agreements. Currently a member of the estates team, Leora now practices in the areas of estate planning, wills, power of attorney and guardianship documents, probate and estate administration. 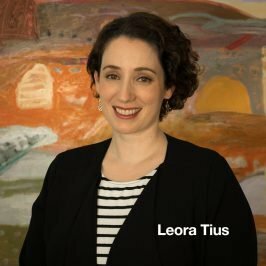 Leora enjoys building a rapport with clients and providing them with a personal and understanding approach. Leora dabbles in creative pursuits such as photography and cake decorating. “Thank you so much for your time and professional support in executing the estate. I am so grateful to yourself and staff for your ethics and kind consideration."